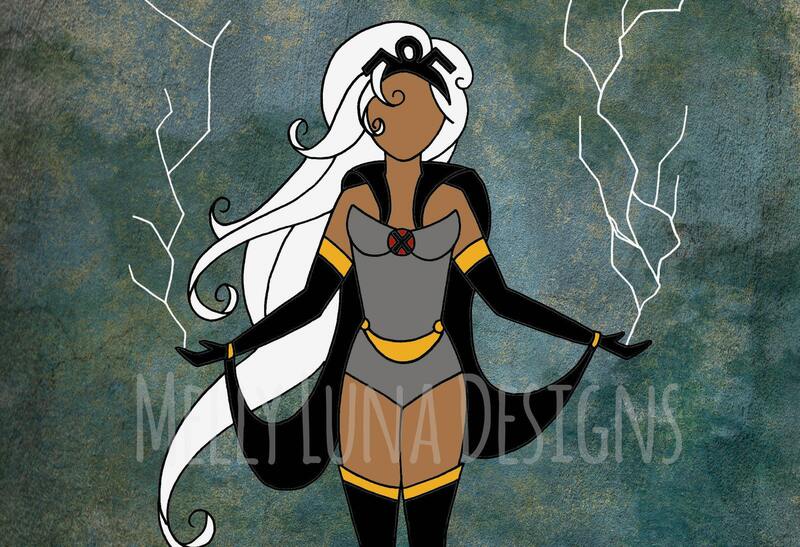 Original artwork inspired by Storm from X-Men. 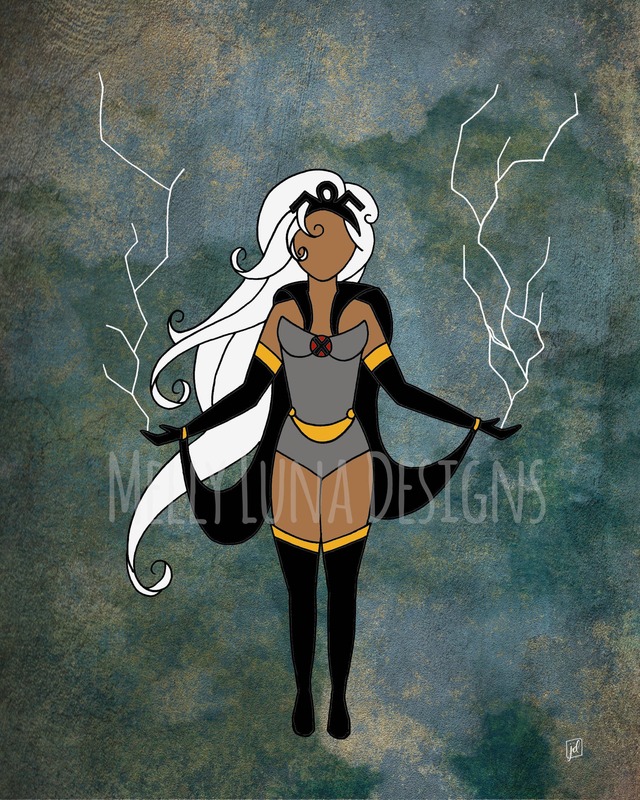 She's strong, she's powerful, and uses her powers to harness the weather to defeat those who would threaten her kind...and you know, still save some humans because she's selfless. The original art was created with pen and ink techniques and then overlaid on an abstract background. The abstract background was sourced from a fellow Etsy artists of OriginsDesignCurio https://www.etsy.com/shop/OriginsDigitalCurio?ref=l2-shopheader-name and DigiTreats, https://www.etsy.com/shop/DigiTreats?ref=l2-shopheader-name.